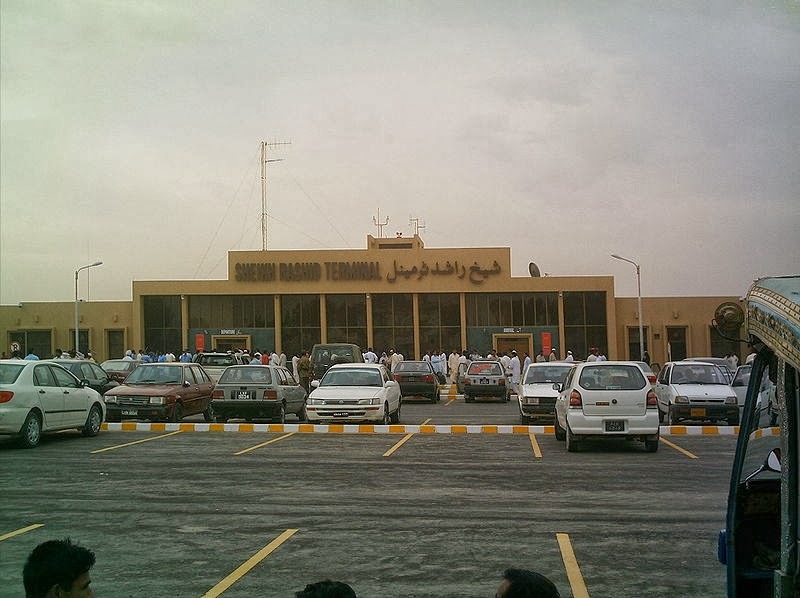 The city of Bahawalpur is well-connected to the rest of the country through railways and the National Highway. In addition, it has an airport. 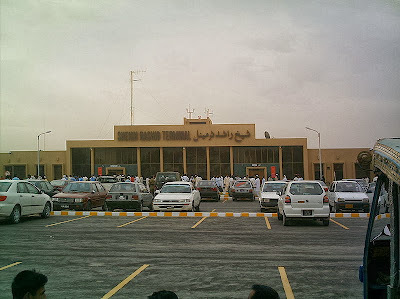 So, you can reach the city of Bahawalpur by road, air and train. The first map (given below) shows the location of the city campus of the university in the city of Bahawalpur. The balloon 'D' indicates the city campus which is at a distance of seven-minute drive from the bus station. If you are standing at the airport, railway station or bus station of the city, you can reach the city campus by hiring a street taxicab or an auto-rickshaw. Auto-rickshaws are rather cheap in Bahawalpur . Once you reach the city campus, you can get a university bus to reach Baghdad-ul-jadid campus of the Islamia University of Bahawalpur where the venue of the conference is located. The following map shows a small red line ( it may take 25 minutes to travel this small line) that links the department of English and the balloon 'D'. The department of English is located at Baghdad-ul-jadid campus of the university at a short walk from the venue of the conference. The blue line that meanders on the map indicates the course of the Sutlej River. Please click the following map to get a closer view. The next map adds another city landmark--the railway citation. It shows the distance between Bahawalpur Railway Station and the two campuses. The blue balloon stands for Bahawalpur Railway Station. The yellow balloon 'B' stands for the department of English and the green balloon that stands behind the yellow balloon is the venue of the conference. The balloon 'F', in the map given below stands for Bahawalpur Airport (BHV). It is also called Sheikh Rashid Airport . It is situated at a distance of 3.7 kilometers from the center of the city. The following map shows the road that leads to the Department of English (Baghdad-ul-jadid campus). Baghd-ul-jadid campus is situated away from the noise of the city. You can reach the latter by the buses that shuttle between the city campus (Abbasia Campus) and Baghdad-ul-jadid campus. The map given below shows how we can enter Baghdad-ul-jadid campus from Hasilpur Road.The yellow line stands for Hasilpur Road. When we leave for Baghdad-ul-jadid campus, we have to travel eastward on this road. The red line shows our eastward movement from the city campus. On the it travels along Hasilpur Road and then enters Baghdad-ul-jadid campus of the university and goes to balloon 'C' which stands for the Main Auditorium, the venue of the conference. The following satellite image shows the building of the Main Auditorium, surrounded by green trees. The following image shows the building of the Faculty of Arts where the department of English is situated and then there are two arrows that show points of entrance to the department of English and the venue of the conference.